More and more people are doing the four R's: Recycle, Re-purpose, Reduce and Reuse! 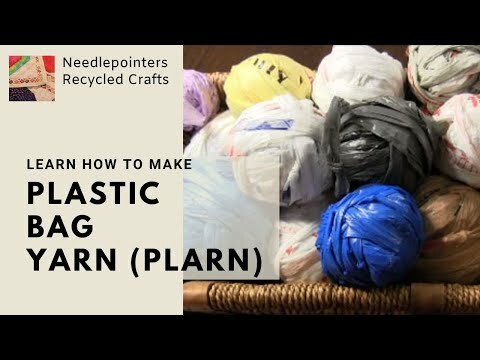 Plastic shopping bags can be re-purposed into plarn. Plarn is short for plastic yarn. This sturdy plastic yarn can be used to crochet, knit, braid and weave projects including tote bags, rugs, doormats. coasters, hats, baskets and more. But before you can get to work creating something, first you must make it. 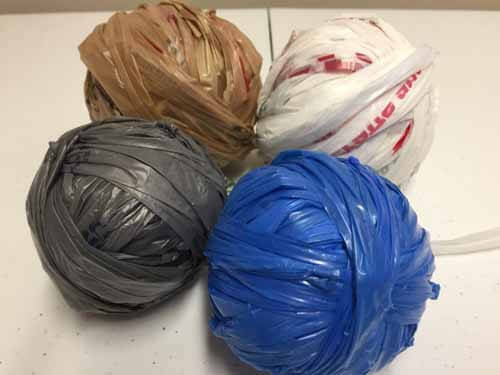 To make plarn, plastic shopping bags are cut into strips and joined together to make a long continuous strand of plastic yarn. Watch this video tutorial and read on for a photo tutorial with step-by-step instructions on how to make plastic yarn. 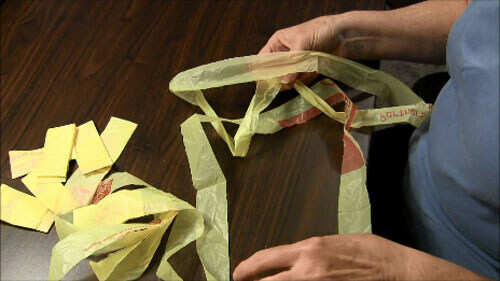 Do you want some other ideas for crafts to make using plastic bags? 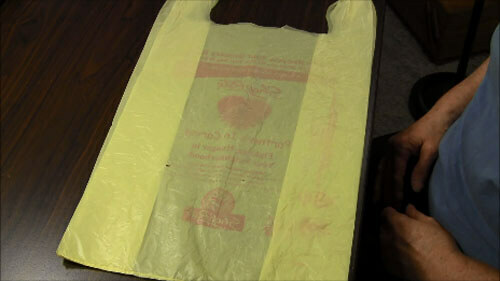 Our Plastic Bag Recycling page has free projects and tutorials. 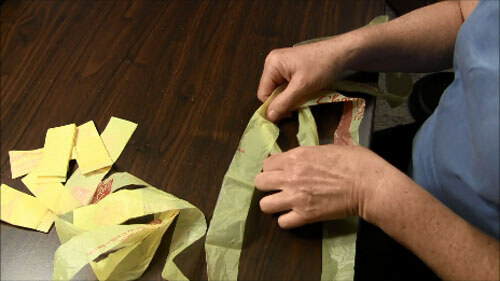 Click to watch the How to Make Plarn, Plastic Bag Yarn video in Youtube. 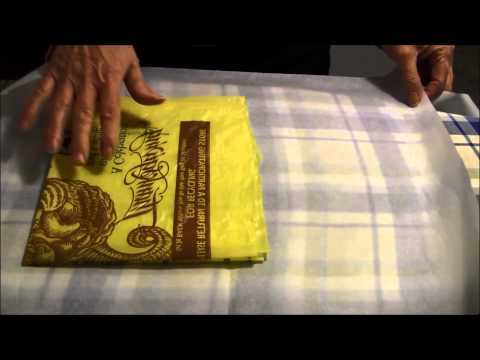 To make plarn, any size or kind of bag can be used as long as they are clean. Sort the plastic bags by color. After sorting, it is time to make the plarn. 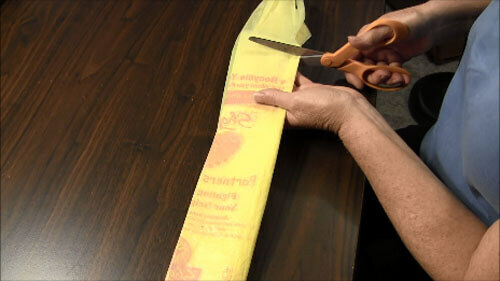 Lay the plastic bag flat on a table - flatting seams and smoothing out wrinkles. Fold the bag in half lengthwise, then in half again. With a scissor or rotary cutter, cut off top handles. Begin cutting the bag into 1" strips forming loops. Discard the glued end. After cutting a lot of loops, begin linking the loops together using a Lark's Head knot. Place the end of loop #1 under loop #2. Take the end of loop #1 over and in front of loop #2, now insert the end of loop #1 through the loop and pull to tighten. 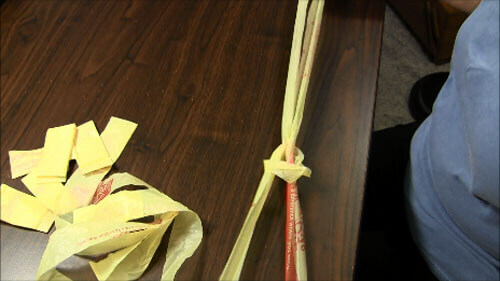 After linking the loops together, begin to wrap the plarn into a ball. This yarn can be used on many crochet, knitting, weaving and braiding projects just like normal yarn. 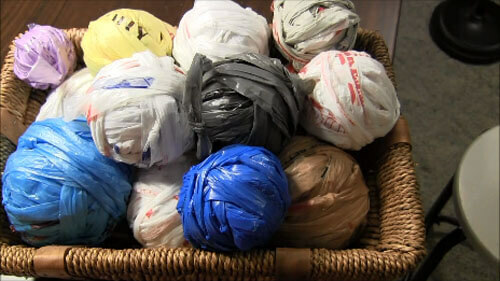 Making plastic bag yarn is that simple! 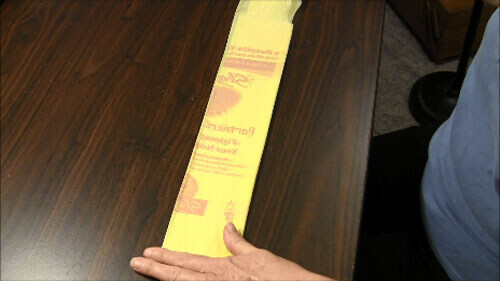 Plastic bag yarn can be cut in different widths depending on the project. 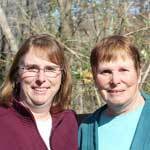 The plarn is ready for your knitting or crocheting project. 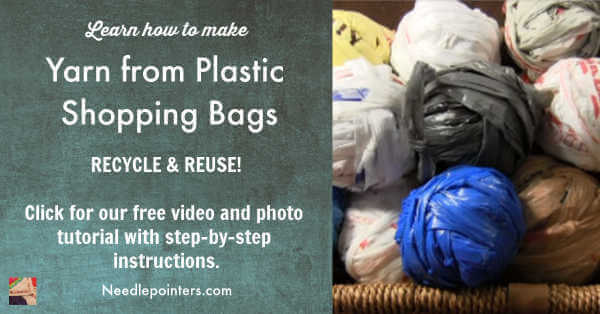 NOTE: The handles and glued ends of the bag can be recycled by using it as stuffing for other projects, packing material or taking it to a local recycling bin for plastic bags. Start recycling those plastic bags now! 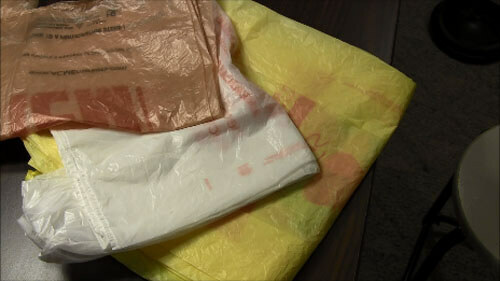 FUSED PLASTIC BAGS - Plastic bags can be made into material by fusing them together. 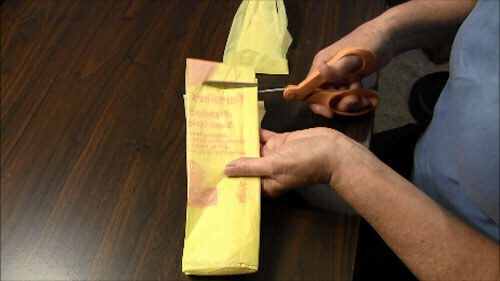 Click the image below To watch the a video In Youtube on how to fuse plastic bags. 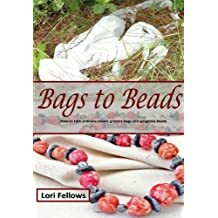 Below are affiliate links to some interesting books on ways to use plastic bags.